What do you give someone who is moving out of the country? You might want to give them a reminder of home or something that will make life as an expat a bit easier. Check out this list of gift ideas for someone emigrating for some inspiration. Cell phones with GPS obviously exist outside of the US so your emigrating friend won’t really need a compass on a practical level. This gift is more symbolic and is totally appropriate for the huge change in direction that moving outside of the country is. 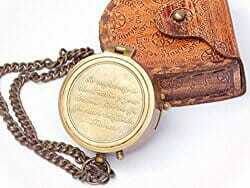 This is a beautifully crafted compass with a gorgeous leather case. The compass itself features a famous quote from Thoreau that is appropriate for any kind of journey or big life change. Similarly, the case is stamped with a quote about wandering by J. R. R. Tolkien. As a symbolic gesture of support, you really can’t do much better than this compass. And who knows? They may even decide to learn to navigate with it! Regardless of why they are moving, emigrating is an adventure. It will be a big change but one that will come with the chance to experience new and different kinds of beauty. This gift will encourage them to document that beauty and all the different parts of their big adventure. 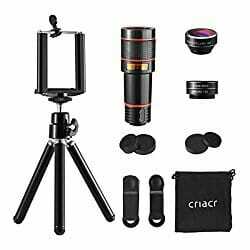 Cell phone cameras today are excellent but these lenses and accessories will help turn the humble phone into something near a professional camera. It includes four lenses (Zoom Telephoto, Fisheye, Macro Lens, Wide Angle) as well as a tripod. You can note on your card with this gift that you hope they will take lots of pictures and share them you. Even the bravest adventurer is likely feeling at least somewhat apprehensive about moving away. This beautifully designed art print features a quote that will help your emigrating loved one muster up the courage to face the challenge. 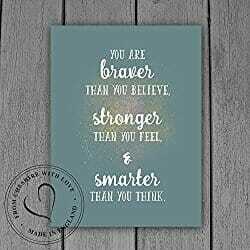 It’s a quote from Winnie the Pooh and reads, “You Are Braver Than You Believe, Stronger Than You Feel & Smarter Than You Think.” This is an encouraging reminder and also lets them know that you believe in them. That can really make all the difference. It’s a sweet and simple gift but the message behind it is a valuable gift indeed. They may be leaving and settling into a new home but the US will always be home for them as well. No matter how wonderful their new home might be, chances are they will sometimes be homesick. This book is a celebration of some of the most stunning and special places in the US: the National Parks. This coffee table book features incredible photography of some spectacular scenery. It will let your friend feel a connection to home when they are homesick. 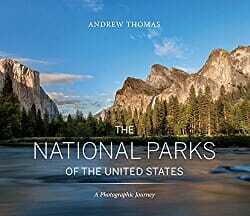 All 59 U.S. National Parks are represented in the book. When emigrating, you often feel like you are a part of two different worlds at once. This is made apparent when considering time. Thinking about the time where you are compared to the time where all the loved ones you left behind are is a continual juggling act. Staying in touch with loved ones on the other side of the world can be a mathematical challenge. This wall clock lets you see at a glance what the time around the world. 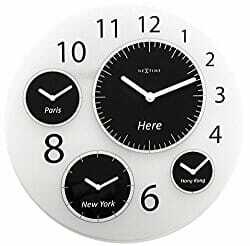 The largest clock face is for the local time and smaller clocks show the time in Paris, New York, and Hong Kong. These reference points make it pretty easy to see what the approximate time is just about anywhere. Relishing and celebrating the unique experiences of moving away and settling into a new home in a new country can help create meaning and joy in the experience. 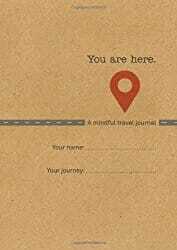 This journal includes several exercises specifically designed around mindfully experiencing travel. It gives them the opportunity to reflect and explore, to make lists, and to doodle. Be sure to point out to them the page on “people you wish you’d brought with you” and remind them that you should probably be first on that list. This journal can be a helpful tool as they transition into their new life. It will also be a wonderful tool to help them remember years later. It’s like a scrapbook of sorts but one that captures and records a point of view and a sense of spirit, a sort of snapshot of a particular time and experience. Moving abroad will be a big adjustment in many ways. Food is generally one of the biggest changes. There will probably be many delicious new foods to discover but that doesn’t mean they won’t miss some American treats. This care package brings together some of the best American snacks, both sweet and salty. This gift may be best received once they are already settling into their new home. It’s also ideal if they’re feeling that first wave of homesickness. 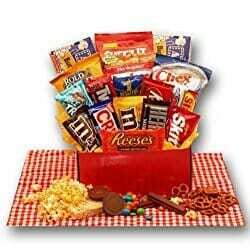 Of course, if you know of a particular favorite American snack of theirs, you might just want to send a box full of that treat. If you’re not sure what they prefer, this snack box covers all the bases. Emigrating takes a good deal of effort and planning. Once they are finally on that plane, though, it’s easy for apprehension to creep in. To help remind them that leaving is tremendously exciting even while it is also sad and scary, get them this fancy little cocktail kit. It’s designed for taking on a flight and it is fully TSA approved. Although the Gin & Tonic is a classic, there are a few different drink options, including the Moscow Mule, the Bloody Mary, and the Old Fashioned. Everything you need to make the drink comes in a cute carry-on tin. Having a celebratory drink on the flight can help them feeling happy and excited about their coming adventure. This attractive map gives a traditional map a big run for its money. It’s a very nice-looking map as is but it comes with a fun twist. The various countries and US States are all covered with a scratch-off material. The idea is that they will scratch off all of the places they’ve been. 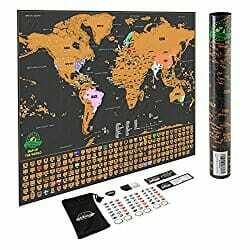 Underneath the map itself, the same scratch-off concept is used for all of the world’s flags. This is a fun way to help them approach moving as a grand adventure. Along the way, they may end up seeing more of the world and this map is a cool way to document it. If they put this in a frame, it will be a favorite conversation piece for years to come. 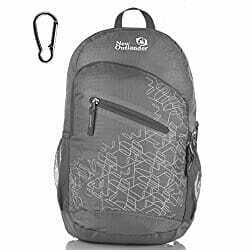 A good backpack can make travel or even moving halfway across the world easier. This backpack looks great and offers some superior functionality. It’s lightweight and extremely packable. It even folds up into a much smaller profile when not in use. It’s made from rip and water-resistant nylon fabric that holds up well over time. There are several different pockets to make staying organized while on the go easier. This includes one internal security pocket for holding valuables. The classic gray is nice but you do have a number of colors to choose from. The backpack comes with a carabiner clip, another helpful tool. When embarking on a new adventure, there are a few tools that can make the experience even better. A good pair of binoculars is one such tool. This is certainly a great tool for birders or stargazers but even just an average person with a bit of curiosity about the world will end up loving these. 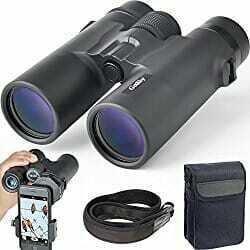 These high-quality binoculars are quite compact so they’re easy to pack. They come with a carrying case, a cleaning cloth, a neck strap, and a smartphone adapter. The smartphone adapter is particularly valuable. This lets you take pictures with your phone’s camera through the binoculars. This is basically like having a really nice telephoto lens. As they explore their new home, these binoculars will help them notice and document the new beauty all around them. Emigrating often inspires a sense of wanderlust. Leaving one corner of the world for another can remind you of how big and varied the world is. Moving away will often inspire a person to do more traveling. Hopefully, they will return home to see you from time to time but they also might want to explore more of the world. This inspiring book points out some of the can’t-miss spots to check out. To make this gift even better, perhaps you should note that you’d love to meet up in one of these places. As your loved one leaves you behind, that doesn’t mean your relationship has to end. Becoming occasional travel buddies is a fun and exciting way to stay close. 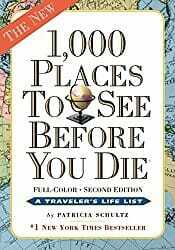 This book can help you pinpoint good places to visit together. No matter where you go in the world, keeping connected through charged devices is key. This little travel charger can handle a wide range of input voltage, from 100v to 240v. This is important because the rest of the world tends to use different voltage levels than the US. You can charge several devices at once with this charger. 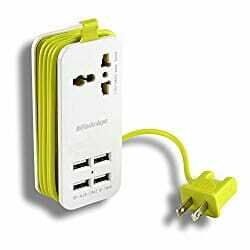 It is nicely designed, with a wrap-around cord storage system, so it’s great for travel. It also comes with a little pouch to carry the charger in. You can include a note with this gift about how them moving away doesn’t mean falling out of touch. They’ll need to be fully charged in order to send you messages and tell you all about their new adventure. Sometimes it takes moving away to appreciate what you had. This small book of some of the most important US documents is a tongue-in-cheek way to point out just what they’re saying goodbye to. 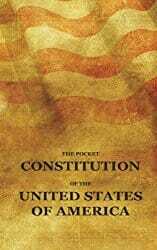 Included is the US Constitution as well as the Bill of Rights and the Declaration of Independence. It’s basically all of our most important history in one travel-ready package. At the very least, this might be just the kind of reading needed to help them fall asleep on that long flight. Although this is advertised as pocket-size, it’s actually a bit too large to fit in most pockets. It’s a perfect size for travel, just not via pocket. Whenever you travel, keeping track of your luggage is important. When you’re moving, this is even more important. This unique luggage tag makes sure that if your luggage is lost, you have half a chance of finding it again quickly. 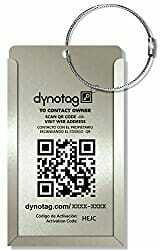 The tag has a QR code that can be used to contact you if it ends up stuck somewhere or is otherwise lost. Of course, this means you’re still relying on the kindness of someone else but it’s better than nothing. You just have to set up a free account and you’ll be notified if someone scans the tag. The luggage tag is available in several different colors and it comes with a steel loop to securely attach it to a suitcase or bag. Saying goodbye is hard but a nice gift can let your emigrating loved one know that you support them and you’re excited for their new adventure. Which of these gifts will you give? Are you yourself emigrating soon? Consider sharing this gift list with your loved ones as a not-so-subtle hint. Do you have any good gift ideas to give someone emigrating that didn’t make this list? Let us know in the comments!